Say my kids were missing. They're not, don't worry. Just for a moment, consider this scenario. 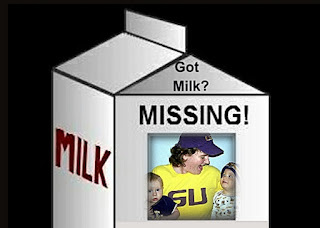 You get a carton of milk (remember those) and you see a photo of a missing child. That face! You know you've seen it recently. The more you examine the photo, the more you are convinced, you know EXACTLY where this lost child is. What do you do? Would there be any hesitation at all in getting my lost child reunited with me? I hope not. I feel like most of us would immediately do whatever it took to reunite a lost child with his or her father. This would honor me greatly! This would bring me tremendous joy, even if my child has been rebellious; even if my child had run away of his own free will. If any of my children were lost, I would want to not only know where they were, but I would want more than anything to be reunited! Wouldn't you?